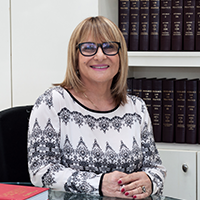 In February 2017, the Tel Aviv Magistrates Court declined a passengers’ monetary claim for bodily injury damages after it reached the conclusion that the occurrence which was the subject matter of the clam is not considered as “accident” as required by the Convention. Plaintiff, a businessman passenger on an El Al flight from Tel Aviv to Hong Kong, filed a claim against El Al, arguing that he sustained damage after he ate a cake which was served to the passengers. Plaintiff argued that he asked the Flight Attendant what kind of cake was being served and the answer he received was that it was a chocolate cake. Soon after he took the first bite, Plaintiff suffered from a severe allergic reaction as the cake was a carrot cake to which Plaintiff is allergic. He was treated by a paramedic who was on board with anti-allergy medicines and spent the rest of the flight lying down. In addition, Plaintiff was hardly able to leave the aircraft after landing. He spent his entire stay in Hong Kong in the hotel, cancelled all his pre-planned business meetings and in fact, his whole journey was ruined. Plaintiff claimed for the refund of the cost of the flight tickets, the cost of the hotel, the cost of hiring the services of a person who accompanied him and a translator, loss of a day’s work, loss of income from the transaction which did not take place, mental anguish etc. Plaintiff estimated his damages at NIS 607,000 however, filed the claim for NIS 150,000 (due to court fees considerations). Plaintiff argued that El Al was negligent by not marking the food as required, by not warning the passengers who are allergic to various foods and that it breached its duty of care by not warning Plaintiff specifically about the potential risk or about active allergens in the food which was served to him. El Al argued that the cake in question contained carrot and this fact was clear (from photos thereof). When Plaintiff asked the Flight Attendant about the cake, she answered that she did not know, but it seems to be a chocolate cake. El Al further argued that the occurrence cannot be considered as “accident” as required by the Convention which applies in this case and hence, Plaintiff has no cause of action against El Al. In addition, El Al argued that Plaintiff bears contributory blame by eating food that he was not certain about its contents and by not carrying with him an anti-allergy medicine. The Court ruled that the flight is subject to the Convention which provides an exclusive cause of action. The Court accepted the argument that no unusual or unexpected and external event occurred to Plaintiff, and no sudden and unexpected event relating to the flight. Plaintiff’s sensitivity and allergy is not considered as “accident”. As to the exclusive cause of action, the Court referred to a previous matter of Noam David where the Court held that the claim for bodily injury caused due to air transportation is subject to the exclusive claim set by the Convention and hence, passengers who suffer from a bodily injury which is not covered by the Convention cannot be compensated by the carrier even in cases where the remedy may be provided by other laws. “The Convention provides a sole cause of action against the carrier for bodily injuries which occurred during the air transportation, where a condition for a cause of action is the happening of an “accident”. The judge mentioned that recognizing an allergic event during a flight as an “accident” in general, is too extreme. The Court dismissed the claim and imposed on Plaintiff payment of El Al’s costs in the amount of NIS 7,500. C.F. 26952-10-14 Meliniak v. El Al Israeli Airlines. C.M. (Nazareth) 1818/03 El Al v. Noam David.